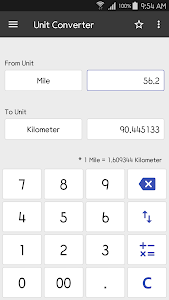 This calculator allows you to easily handle all the calculations necessary for everyday life with a single application. 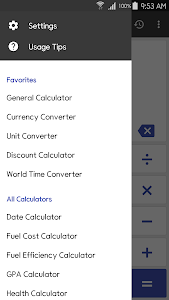 A calculator app with a clean interface and practical functions! • Supports the four fundamental arithmetic operations, square, expression's parenthesis, and simple scientific operations such as trigonometric and logarithmic functions. • Possible to modify incorrectly entered expressions with a freely movable cursor. • Supports length, weight, width, volume, time, temperature, pressure, speed, fuel efficiency, and the amount of data. • Supports all unit conversions commonly used in everyday life. • Supports 132 currencies in the world, including dollar, euro, yen, yuan, etc. 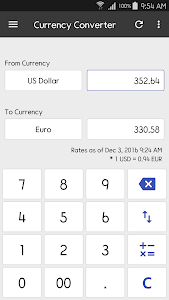 • Automatically calculates using the real time exchange rate. • Get a discount price by entering the original price and the discount rate. • Transforms the time of 400 or more cities around the world. • Daylight savings time will also be reflected in this calculation. • You can correctly calculate your GPA! • Calculates the time of ovulation and fertility using the menstrual cycle! • You can also create notes by date. 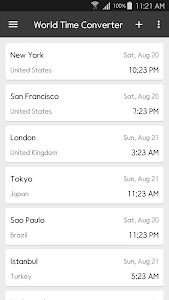 • A feature that calculates the specific date or anniversary to be remembered! • Enter the price and the quantity and you will get the unit price. 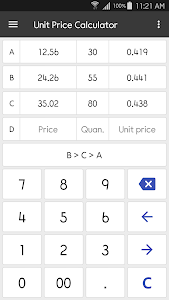 • You can compare unit prices of various goods. • You can measure the body mass index (BMI) and the basal metabolic rate (BMR). • Enter the amount of fuel used to get the fuel efficiency. 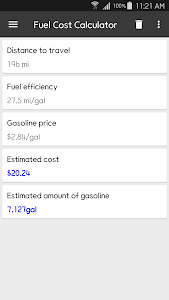 • You can calculate the fuel costs required for driving a car or traveling. • Enter a distance and a fuel efficiency to get a fuel cost. 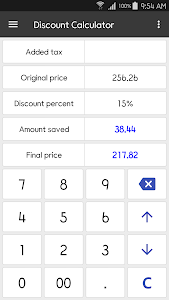 • Converts between decimal and hexadecimal with ease and convenience. • Get a total price by entering the original price and the tax rate. • You can calculate the total interest and total payments by entering the loan principal and interest rate. • If you enter deposit amount, interest rate and time period, the interest after tax and final savings balance will be calculated. • The tip amount to be added will be automatically calculated if you enter the billing amount and tip percent. • There is a function not to calculate tips on tax. 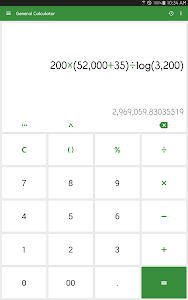 • You may calculate the amount per person by dividing final amount by the number of people. Cleveni Inc. makes no warranty as to the accuracy or reliability or suitability of any calculation results or information provided through the ClevCalc app. 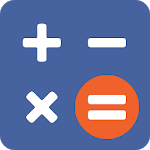 Cleveni Inc. is not also responsible for any damages, direct or indirect, which may occur by the calculation results or information provided through the ClevCalc app. Similar to "ClevCalc - Calculator"